There was a hearing scheduled for tomorrow. It's been rescheduled for March 13, 2019. The last thing US filed is a lodged exhibit. I believe Richard Powers is fighting the criminal case in Costa Rica maybe on appeal. He lost by default because he didn't appear. He didn't appear because he was incarcerated here, on probation, with an ankle monitor, had his passport taken away and was ordered not to leave California. Costa Rica doesn't care. He lost by default. October 23, 2018 the Supreme Court of Costa Rica stated Richard Power's lawyer Manrique Lara Bolanos filed a habeas corpus motion on behalf of Richard on September 27, 2018. The current case against him in Costa Rica is 07-001578-0283-PE for the crime of management fraud. Supposedly Richard lost by default March 10, 2015. Richard's attorney argued that the claims at issue in the Costa Rica case were already decided in the US. Gary stated they are not the same claims (yes, they are). Richard also argued that the claims are times prescribed. Gary stated they are not. Habeas corpus was rejected. They are waiting for the US court to rule on the extradition. Article came out saying Gary Michelson is thinking of donating $1,000,000 to Cory Booker for his 2020 run for President. Gary stated he didn't want to hurt Cory with his donation. If Gary donates to Cory Booker, and Booker accepts it, it will hurt his chances. No one wants a donation from a major tax cheat or a patent troll who buys politicians to use to unjustly harm people in criminal courts. Here's another mention from December 2018. Gary has been donating to his campaigns for years now. $2,700 must be the maximum. I thought Cory was rubbing up to Gary for campaign donations. I even warned him about Michelson. His money is the only reason you'd want to have anything to do with him because he's such a horribly evil person. He has his wife also donate so he doubles that. Is she a US citizen? Can she even vote or work? Gary Michelson has been buying politicians left and right. He buys them so he can use them do to his bidding in harming his ex boyfriends, business partner, anyone he dislikes. Gary Michelson promised Mayor Antonio Villaraigosa if he hired Ed Boks he'd give him $10,000,000 (documented proof is in this blog in the form of an affidavit in a lawsuit by someone who sued Michelson). Villaragosa hired Ed Boks and Gary didn't give him the $10,000,000. I know because I worked for Gary and the city at the time. Mayor's office was yelling at me "Where's the money!" Gary gave money to ex DA Steve Cooley "justice consultant" to get his hand picked successor current DA Jackie Lacey to file false charges against his ex boyfriend and she did. Gary admitted in court to taking the DA's office out to lunch to thank him for doing that. Gary's ex boyfriend and biz partners made Gary Michelson millions of dollars. They didn't steal a penny. Costa Rica Court ruled in their favor. Gary just wanted to hurt his ex boyfriend for leaving him. He got the current DA to file false criminal charges against them. Gary Michelson used his politician friends to get the Secretary of State Rex Tillerson to send an extradition order to a California court. The purpose is to drag an ex business partner to Costa Rica where he can be falsely imprisoned pending trial and killed. Costa Rica Court previously ruled that ex business partner Richard Powers did not steal a penny from Gary Michelson. Since then Gary bought more politicians and a Judge and was able to get Costa Rica to request to extradite him. The extradition hearing is this coming Tuesday. The purpose is so he'll be thrown in jail and killed. No one should ever do business or anything with Gary Michelson. He turns on everyone on a whim. I know that Gary is buying politicians because Gary asked me and someone else how can he get politicians to do what he wants. We both told him donate to their campaigns then ask for your favors. Gary did exactly that. I just didn't think he'd ask politicians to do evil, illegal things for him. I thought he was lobbying for good. I was wrong. Gary is a tax cheat because he tried to use a tax scam to avoid paying taxes on some extreme amount. He bought $121,000,000 worth of fake tax shelters. He ended up having to pay the taxes and owed a $20,000,000 fine. He sued his tax advisers and lost. If Cory Booker takes Gary Michelson's money, Gary will ask him for a tax break for billionaires. He'll ask him to charge his exboyfriends with made up crimes like he did the last one. Gary also promises a lot but rarely delivers. He didn't deliver for Mayor Villaraigosa. The Michelson Prize just sent me an email stating they are "successful." They said they've offered the prize for ten years now and allegedly given out $15M. Gary Michelson forgets that December 2005 he announced the prize. It's now been 14 years and he still does not have a one-shot sterilant for cats, dogs. Each year he moves the goal posts farther and farther away so no one will ever be able to claim the prize. The reason is because Gary Michelson doesn't want to give anyone the money. He stated he would give a $25M prize for the one shot sterilant and $50M in grants. The exact terms of the original prize can be found in this blog. Instead Gary has been spending millions to attack two people who made him millions of dollar. Gary probably used the profits from his land deals to pay his legal fees. Gary prefers spending his money on hurting people. "As we look forward to a new year, we on the Michelson Prize & Grants program team would like to share some highlights from our 2018. An important milestone was reached in 2018: On October 16th, the Michelson Prize & Grants celebrated its 10th anniversary as a program of The Michelson Found Animals Foundation. Over the past 10 years, the MPG program has committed a total of $15.8 million to 37 Michelson Grant projects around the world, representing an incredible investment in the future of spay/neuter and companion animal welfare." Gary Michelson said he'd have a one shot sterilant for cats, dogs. He failed. Found Animals. In December 2005 I met Gary Michelson for the first time in person at Kathy Riordan's house. He stated at that time he was going to use his money, brains and contacts to find a one shot sterilant for cats, dogs. He said he would quickly make Los Angeles the first true no kill city in the nation. I have a DVD of that meeting which I took. Gary started the $75 million Michelson Prize. $50M would go for research grants. The $25M prize would go to the first person who gave him a one shot or dosage sterilant for cats and dogs. I sent in three drugs which would work. I'm sure others sent in more drugs. Gary did not pay the prize. Instead he moved the field goal. The new Prize had a bunch of hoops you had to jump through. He had to be able to patent the drug in his name. Sounds like he wanted to patent and sell it for profit. If someone had a one shot sterilant, it would make sense for them to patent and sell it instead of giving it to Gary. It'd be worth more than the $25M. It's now 13 years later. The research grants didn't produce a one shot sterilant. Gary refused to award the Prize to anyone. If I sent in three drugs, many other people sent in even more drugs. Gary Michelson is a failure. He doesn't keep his promises. When he doesn't keep promises he generally says "I never said that." He doesn't use email, fax or written letters. I may post the DVD of that meeting. He clearly states Found Animals will focus mainly on spay and neuter. Just months later he said the focus would be pet Kiosks and microchips instead. I always took written notes of our meetings because he always denied what he said just so he wouldn't have to keep a promise, an agreement. Just look at how Gary lied about his business arrangement with Richard and Neil. UPDATE 11/03/2018 Plaintiff's application was not heard. That means it was denied. The motion to speed up the hearing was denied. 11/01/2018: Discovery was over yesterday. I answered Plaintiff's discovery. They did not answer mine. Plaintiff's attorney didn't even start discovery until two months after it began. Yesterday he filed an application to hear his ex-parte application on shortened notice. I filed a reply. In his application he said I don't oppose his application to extend discovery. I most certainly do oppose it. Phil Stillman is as incompetent as James J Little. They both missed deadlines, forgot to file documents, forge service and lie. This is definitely not one of Michelson's lawyers. If Alya is involved, she is just paying the legal fees. must still be the owner of the judgment. The Russian strawman probably doesn't exist. UPDATE: Stillman lost his ex parte motion and his motion to hear his ex parte motion at an earlier date. Attorney Philip Stillman filed an ex parte application. I instantly wrote and filed one within an hour. In Stillman's ex parte he violated a protection order over the debtor hearing and my home address. In his ex parte he claimed it was an emergency to file it as discovery ends Oct 31, 2018. Discovery started about June 27, 2018. He had four months. He didn't start discovery until two months later. Now he's crying that he needs more time so he can harass an elderly non-party. He doesn't have enough time to properly harass her. This attorney is just as bad as the dead attorney. He misses deadlines, lies, forges documents, commits perjury and lies to the court. He also violated a protective order. Attorney Philip Stillman is as corrupt, unethical and unprofessional as James J Little. Philip Stillman just did a fake service. Even the fake service is not timely. While Philip Stillman is arguing to the court that poor old JoAnn Remington should not be dragged to a debtor hearing relative to JJ's estate and debts, he's trying to drag an elderly disabled woman to a deposition where she isn't even a party just to upset me. 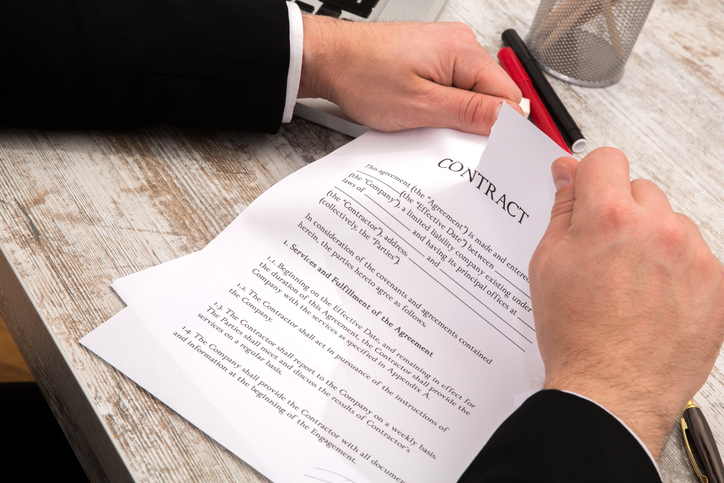 Philip Stillman sued for malpractice and breach of contract. In this case Philip Stillman represented Richard Guido in business negotiations. Guido agreed to a letter of intent with another company. Unbeknownst to Guido Philip Stillman started representing the other company. Stillman wrote a rough draft of a second letter of intent. Guido said he would not sign it. Stillman then allegedly lied to the other party and stated he did sign it. Finally Guido realizes that Stillman is representing him and the other side. That is conflict of interest besides breach of fiduciary relationship. It looks like they settled it. Case was filed here in Los Angeles. Guess who was Philip's lawyer? James J Little. They clearly work together. ORIGINAL: If Alya Michelson bought my judgment she has a truly horrible lawyer. First he didn't start discovery early enough. Then he sent a subpoena which was not timely. They must be served at least 20 days before the date. Then he sent a thug to an elderly friend's house late at night to frighten her. Pretty horrible for Alya Michelson to want to harass an elderly person just to upset me. Pretty gross in fact. You don't send thugs to homes in a high crime area where people have been murdered recently. I emailed Alya asking if she owned the judgment and no reply. Anyway the lawyer made another huge mistake today. I asked if he sent the thug to the person's house. He replied in email "I don't know what you're talking about." Then he accidentally emailed me instead of his client. He said they should send a sneaky Fed-ex letter that they have to sign for. It still wouldn't be timely. I emailed him back stating he clearly lied about not knowing about the thug. I added that he accidentally sent that email to me instead of his client. This is where it gets weird. He then said he meant to send that email to me. Why would he ask me to send a sneaky Fedex to a friend of mine to trick them into receiving service of his subpoena? Clearly the guy is nuts. He sent the email 4:00 p.m. LA time which is 7 Florida time. He was a friend of James J Little for many years. They were involved in lawsuits together as lawyers and parties. Stillman is representing JJ's probate and debt case. They're trying to state that JJ bought his eight year old or so kid a condo. Looks like he's probably trying to hide assets. California Bar Association 152861. Philip Stillman, Philip H Stillman, Philip Harris Stillman, Phil Stillman. He's not a member of the Florida Bar Association. Odd since he lives there. Also odd he passed the bar in 1991 at the age of 33. Shouldn't you be about 25? This blog is not copyrighted. It's open source. Anyone can take it, copy it, post it. This blog is not copyrighted by me. It's open source. Everyone is free to copy it and post it. 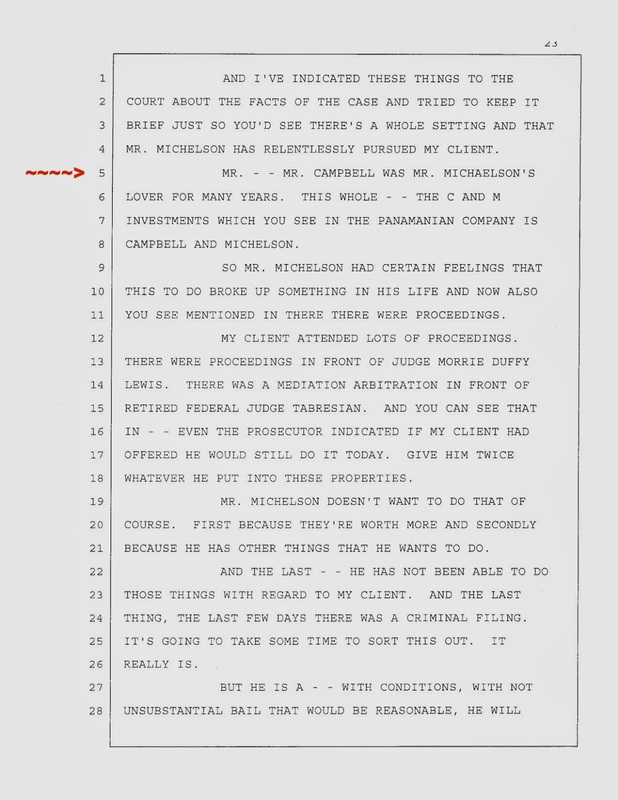 Dr Gary Michelson whose vengeance knows no bounds has spent the last 15 years straight going after anyone related to his ex friend Neil Campbell just because Campbell didn't want to be his friend anymore. Michelson's gone after Richard Powers, his ex-gardener and even me. Gary's Russian mail order bride Alya doesn't like this blog. She is most likely using Gary's money to fund legal action against me. This includes filing false reports to government agencies and using slimy lawyers like James Little to fake service so I'd lose an ex-parte hearing by default. I later won the hearing because Alya's attorney James Little made a mistake because he was on drugs at the hearing. Below is Richard Power's reply to the US request for extradition. Summarized both the US and Costa Rica state you can't charge someone twice for the same act. Statute of limitations for charging Powers in Costa Rica has run. Gary Michelson is using the Courts solely for the purposes of being cruel to Powers. Michelson also continues to go after Neil Campbell in Idaho. Gary Michelson is pure and utter evil. I feel bad for his kids. They are going to be so messed up just like Alya has become. Alya takes pleasure in harming others. Dr. Gary Karlin Michelson won a $1.35 billion dollar settlement from Medtronic in 2005 and became an over night billionaire in the Forbes 400 list. G Karlin Michelson files patents for spinal medical devices. His most famous patent the threaded spinal cage was actually invented by other people but he filed the patent first. He is considered by many to be a patent troll. Gary Michelson started the Found Animals Foundation, 20 Million Minds and Michelson Medical Research Foundation. He also oversees Karlin Asset Management, Karlin Ventures, Karlin Real Estate and Karlin Opportunity Fund which are his own personal holding companies. This blog is about his biography and history starting in Philadelphia up to today in Los Angeles, California. When Gary Michelson first won the $1.35B dollars he promised to donate all of the money to charity for useful causes such as helping animals, students and people with back problems. He started three foundations but has never fully funded them. He promised to make Los Angeles a No Kill city for animals in 2005 but failed. He promised to give students free books but didn't keep that promise either. Instead Gary Michelson uses his money to wage vicious wars against people to satisfy personal vendettas. 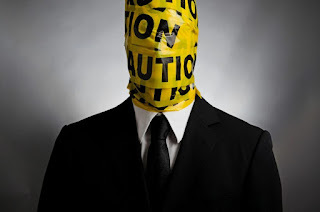 This blog explores his many lawsuits, failed business dealings, his own personal failings and his wife Alya aka Alevtina "Gold" Michelson, stage name Tina Gold and T'n'G. Her real name is Alevtina Shchepetina, Алевтина Щепетина in Russian. She claims to be Russia's first test tube baby and a Kremlin correspondent. These things are not true. Alya was a "model/singer" in Russia. Most read that to mean "Russian mail order bride" or in Gary's case "beard." It was stated in written legal documents that Gary Michelson is a homosexual. That document is included in this blog. I've known Gary Michelson since 2005. I worked for him in 2006. I am very familiar with the topics which I am posting about here. Gary Michelson, his partners, wife are public figures. The items in this blog are of public interest. The images are used under the Fair Use of Copyright for non-profit comment and education. Everything in this blog is the truth to the best of my knowledge. If you see a mistake, please, contact me with proof so I can edit or delete it. I generally post links to back up all of the statements I make so you can review the documents and come to your own conclusion. Everything else in the blog is my personal opinion and belief. Nothing in this blog is confidential. Everything is public information. The purpose of this blog is to share this public information about public people involved in a very public criminal and civil litigation. DA of Costa Rica states there was no contract, Gary lied, there was no loss, there was no crime. Richard Powers is innocent, transcript. Gary Michelson tries to file false criminal complaint against his ex-director. LAPD state Gary is crazy and no crime was committed. Gary's ex-director sues Gary for defamation and Gary instantly settles. Gary Michelson has specially bred pitbull that is not neutered. Hypocrite. Gary Michelson did not invent his most famous patent. He stole it. 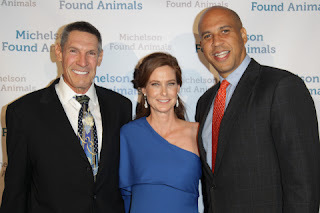 Dr. Gary Michelson, G Karlin Michelson, Found Animals Foundation, Alya, Forbes, billionaire. Simple theme. Powered by Blogger.